Wayne Pediatric Dental Care has served children in the Wayne area for many years (including Brianna when she was a kid! ), but needed a new, updated website as its client base has largely evolved into the children of digital-savvy parents. To reflect the upbeat atmosphere of the office, the practice sought a fun, friendly web design that would attract new clients online and offer current clients a resource for information. The website also needed to help clients get to know Wayne Pediatric Dental Care staff and manage appointments. 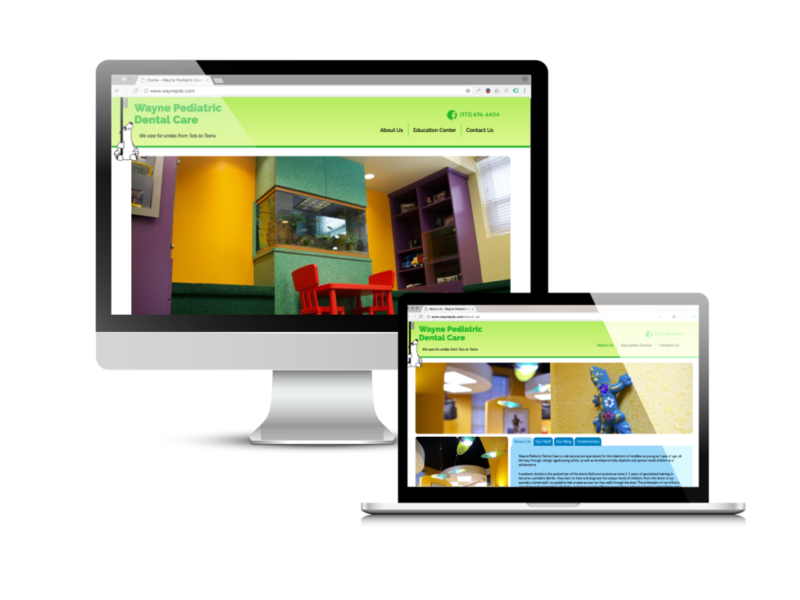 Crearé Web Solutions rolled out a more organized website for Wayne Pediatric Dental Care that made information easier to find and online appointment scheduling straightforward. We incorporated Zoc Doc, an online doctor appointment scheduling service, to simplify the process for patients and keep them on the website while scheduling appointments. We added meta tags and keywords to optimize the website for online searches. We worked with the practice to review what was and wasn’t working for them, determining that Zoc Doc wasn’t making appointment scheduling easier, and it made more sense to actually remove the scheduling from the website and focus on promoting the phone number for web visitors to call and schedule an appointment. To this day we continue to work with Wayne Pediatric Dental Care on updating their website with the latest information.